The Therapeutic Tai Chi In-a-Chair program combines gentle Yoga and adapted Qigong forms along with a simple 9 movement sequence of Tai Chi. Most of the routine is performed while seated, and participants are encouraged, if possible, to stand for the "9-Form" sequence. The routine is appropriate and beneficial for anyone with standing and/or balance issues, and is practiced in support group settings, retirement, independent, and assisted living facilities, as well as fitness centers for people who need adapted forms of daily physical activity. Therapeutic Tai Chi In-a-Chair was developed for people of almost ALL ages and degrees of abilities. Gary had input and guidance in the development of the program from Physiatrists, Neurologists, Psychologists, Physical Therapists, Recreation Therapists, and others in the medical field along with additional contribution from Tai Chi masters, yoga teachers, and exercise physiologists. The program was introduced by the National MS Society in 2004. Gary taught the program through the NMSS Wellness Workshops throughout Illinois and at the annual summer camp in Bloomington. 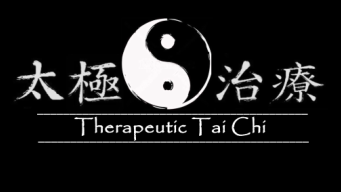 Therapeutic Tai Chi In-a-Chair has been the subject of numerous media reports, and has been successfully presented to numerous medical support groups, in hospital settings, Recreation Therapists conferences and the annual conference of the National Qigong Association. Gary was honored by the MS Foundation as a "Top Twenty Person with MS Who Inspires Us" in 2006, and he and the program were featured in the United Spinal Network publication, "Life in Action".